8 Movies that Don't Yell "Cut!" We don’t usually think of them this way, but movies are made in pieces. Little bits of footage are cut and assembled into something that hangs together, and ideally, makes sense. Editing is a complicated, delicate skill, practiced by professionals who’ve spent years refining their craft. As dazzling as long takes can be, they do more than simply create an effect. Scenes that roll without cuts provide a kind of dramatic sweep that movies filled with lightning-fast editing simply can’t duplicate. Whether the shot sticks in place, or moves as if on a current of air, you will thrill to these movies that go out for the long pass. Here are some prime examples of what we pray is not a lost art. Perhaps the most famous crane shot in history, this iconic long take begins tight on Scarlett in the Atlanta train depot, pulling back further and further, revealing a terrible and writhing sea of wounded men. The effect is sobering, as the slow widening of the scene adds to our awareness of just how devastating the war has become, and how hopeless for the South. The idea for the shot came from Val Lewton, formerly producer David O. Selznick’s assistant editor. Lewton went on to produce a string of B horror movies in the 1940s, including “Cat People” (1942). 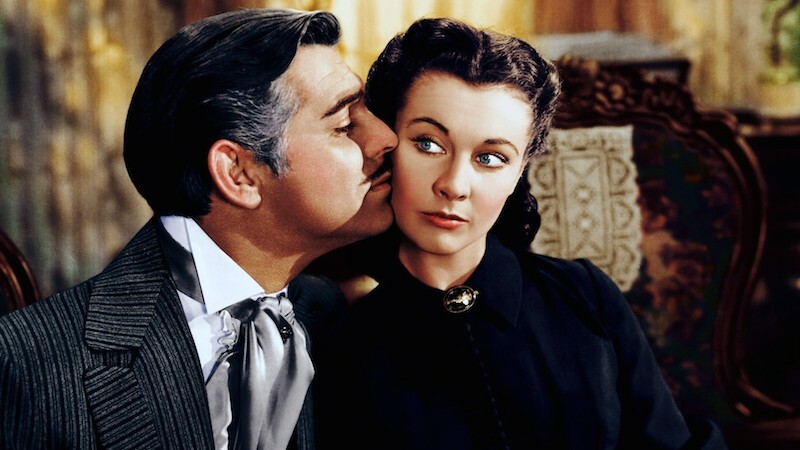 Stream "Gone with the Wind" tonight. Perhaps the most studied long take in cinema is this gripping three-minute and twenty-second gem orchestrated by Orson Welles in his noir classic “Touch of Evil.” Welles’s shot may be extended, but it is no smooth glide. The unbroken take builds tension second-by-second as the countdown of a hidden ticking time bomb puts the audience on edge. Passing perilously near it are Miguel “Mike” Vargas (Charlton Heston) and his newlywed spouse Susie (Janet Leigh), adding yet another layer of tension. The long shot lights the fuse, literally, that sets in motion the suspenseful and unrelenting thriller to come. Stream it tonight. Director David Lean needed one vision to convince him that he could make the four-hour epic charting the WWI exploits of T.E. Lawrence, British Army officer and Arabist (Peter O’Toole). If Lean could see in his mind a flat, baked desert with a tiny speck on the horizon, and hold there while the speck slowly drew closer until it revealed itself to be a man on horseback, then he knew he’d be able to build the movie that went around this dramatic, powerful image. He did, and the shot of the advancing Arab tribal leader (Omar Sharif) remains one of the finest in all cinema. Stream it tonight. An early representation of life in Castro’s Cuba, “I Am Cuba” is a re-discovered film masterpiece. Thanks in part to Cuba’s isolation, and aided by funds and support from the Soviet film industry, “I Am Cuba” innovated its filming techniques with a kind of analog brilliance. With no Steadicam available (or invented) yet, the stunning, long tracking shots were executed by an elaborate system of hooks and pulleys attached to a cameraman who had taped the camera to a vest. As if that wasn’t gutsy enough, parts of “I Am Cuba” were shot during the Cuban Missile Crisis of 1962. Author Nicholas Pileggi penned the screenplay from his own book about a New York area neighborhood kid, Henry Hill (Ray Liotta), who goes to work for a major crime family. When the production was denied entry into the Copacabana by the front door, director Martin Scorsese was forced to improvise and decided to film the route into the club from a side door. The shot runs over three minutes and took seven takes to get right. (One take was blown when Henny Youngman forgot his lines!) Stream it tonight. Robert Altman’s satire of the contemporary movie industry, adapted from Michael Tolkin’s novel, states its intentions early with an unbroken opening shot that lasts nearly eight minutes, and serves as a rallying cry against the short attention spans and rapid cuts of the "MTV generation." (It’s only gotten worse since then). Altman is masterful as he simultaneously pulls off an homage to his directorial forefathers and creates an iconic set piece all his own. The shot required fifteen takes, but it was worth it. Stream it tonight. “Russian Ark” not only makes use of one long take, the whole movie is one long take. To present a tapestry of three hundred years of Russian history, Director Alexander Sokurov crafts his film from a single 96-minute Steadicam shot that moves seamlessly through the rooms of the Winter Palace at the Hermitage Museum in St. Petersburg. And what does this long shot reveal to us? The glorious, the brave, the beautiful, and the eternal. This one-take wonder of a movie reminds us that time is a continuum without end. Stream it tonight. Two young, gay English men, Russell (Tim Cullen) and Glen (Chris New), meet in a club, just as Glen is about to move to America to study art. Filmed in a series of long takes, “Weekend” uses the luxuriousness of slower pacing to allow the men’s conversation to unspool, and with it the growth of a new relationship. The naturalistic feel of these long takes lets us in on Russell and Glen’s burgeoning intimacy on a scale that approximates real time. The effect lends a sense of immediacy and authenticity to this sensitive, perceptive film. Stream it tonight.